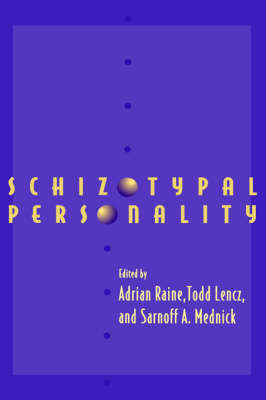 This book is devoted to schizotypal personality. It provides a comprehensive overview of our knowledge from some of the world's leading researchers in the field, and includes reviews of genetics, neurodevelopment, assessment, psychophysiology, neuropsychology and brain imaging. Central themes are the exploration of categorical and dimensional approaches to the understanding of schizotypal disorder and its relationship to schizophrenia. Valuable introductory and concluding chapters set in context the sometimes divergent opinions and findings presented by the book's contributors and there are reviews of methodological issues and assessment schedules for the benefit of researchers in the field. In setting out to answer, from phenomenological, psychological and neurobiological perspectives, the fundamental question 'What is schizotypal disorder?' and to develop coherent etiological models, this book will serve as an authoritative resource for clinicians and researchers interested in this major personality disorder.